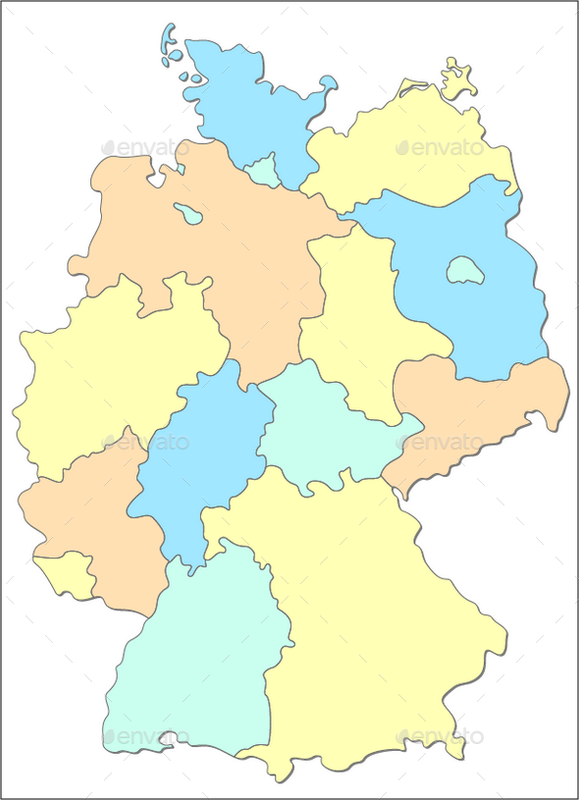 Separate layer for each state arranged alphabetically. 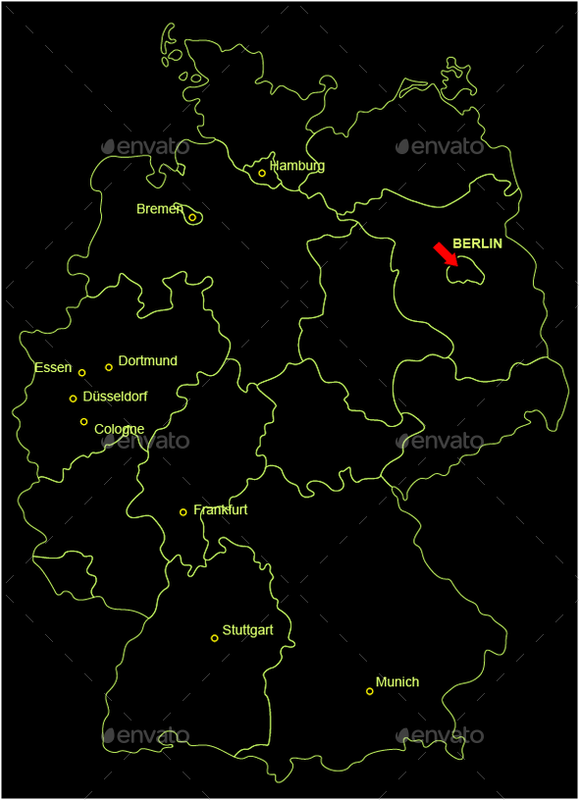 Bonus: 9 different map markers and the Flag of Germany. 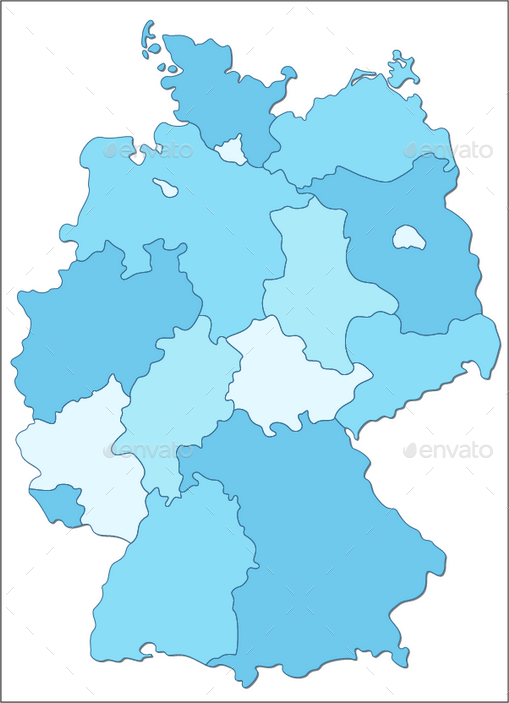 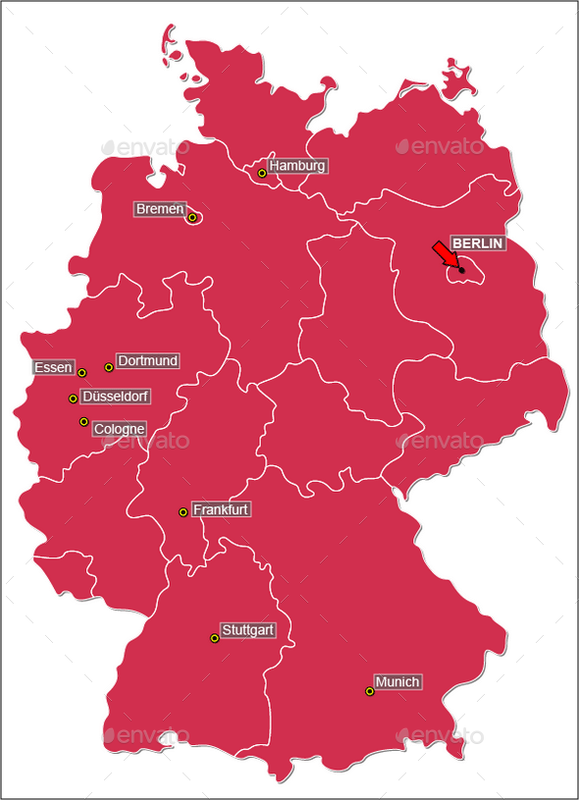 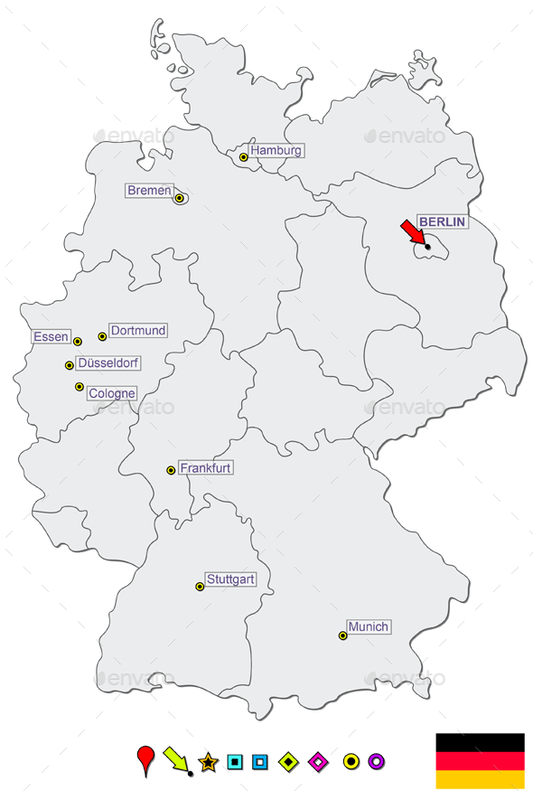 Looking for Interactive Map of Germany with Clickable States?